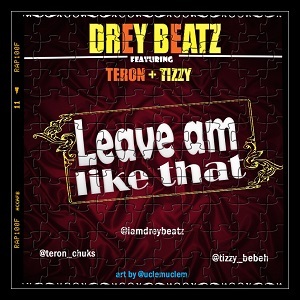 Drey beats drops another song, this time featuring Teron and Tizzy of Sants Empire. its a feel good song. So just #LeaveAmLikeThat. Download and share your experience.